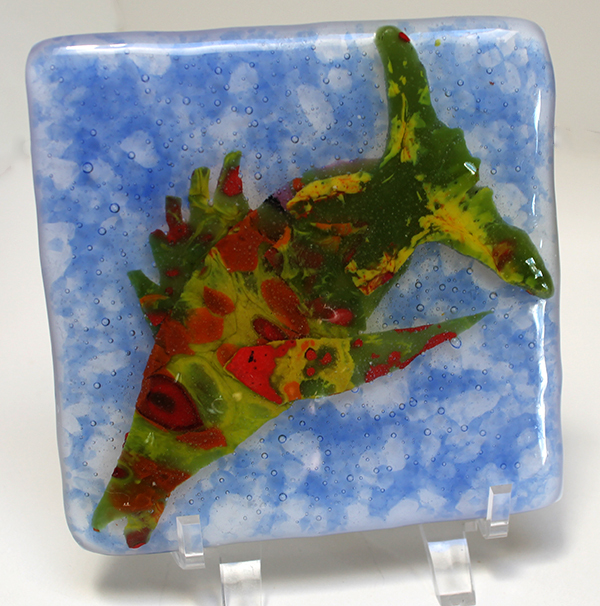 In this 3 hour class you’ll explore the use of photo decals in glass fusing, beginning with a small (but high resolution) image of your choosing. It could be a sailboat, a pet, a logo or other symbol, a flower, or (almost) anything you choose. Stacey will work with you to help you find an optimal image for this process given the technological constraints. She’ll then process the photo in Photoshop so it can be sent to the decal makers. They require 10 -14 days, so this step must be completed a couple of weeks before the class begins. But don’t worry, we’ll have some extra decals of our own designs made so those who want to join the class later will have something to play with. During class, each person will create two small art pieces incorporating their photograph. Sized from 3″ by 4″ up to around 4″ by 6.” We’ll use frit (powdered glass), stringers (long skinny pieces of glass), sheet glass in transparent and opaque, and extra sparkly dichroic glass to embellish our designs. Projects will be fired after class and available for pick up within a few days. We can also ship. The cost for this fun day is $125, which includes everything you need (glass, use of tools and kiln firing) except for eye protection. Please bring safety glasses that fit your face. If you wear prescription glasses you won’t need extra eye protection. Class size is limited to three, so each person has plenty of space and attention. 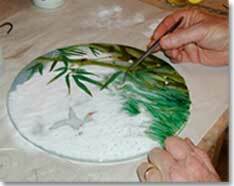 Other classes we offer include: first fusing class, dichroic glass jewelry making and plant fossils in glass. Call or email for more info. 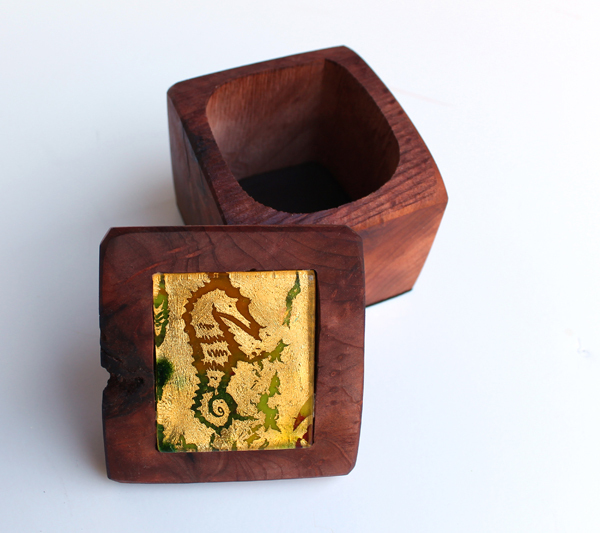 Make a beautiful 6″ square piece of glass art with Plant fossils or Fossil Vitae for you Latin buffs. 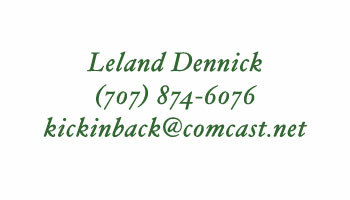 Leland Dennick teaches this class in his home studio in Sebastopol, CA. 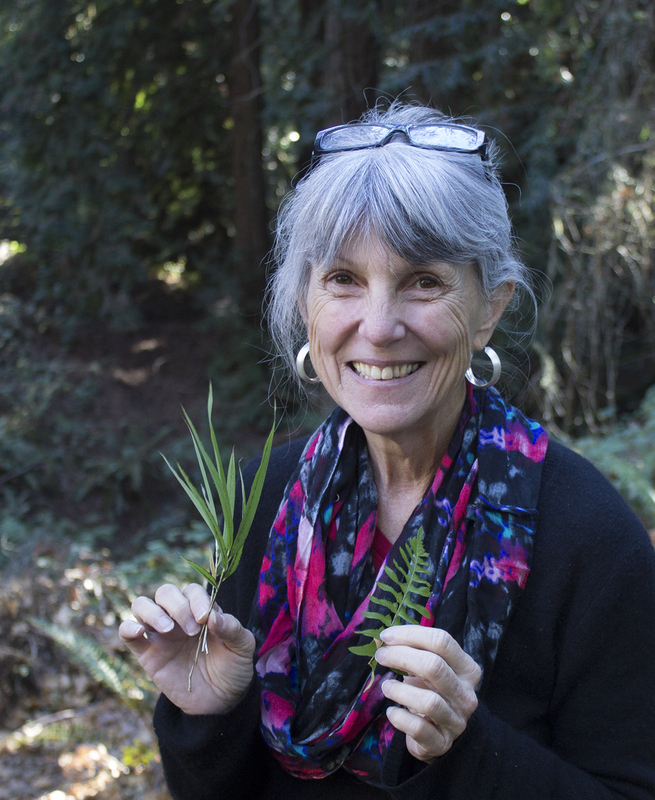 We’ll hit the trail right outside our studio to find foilage for the Leaf Fossil dish. 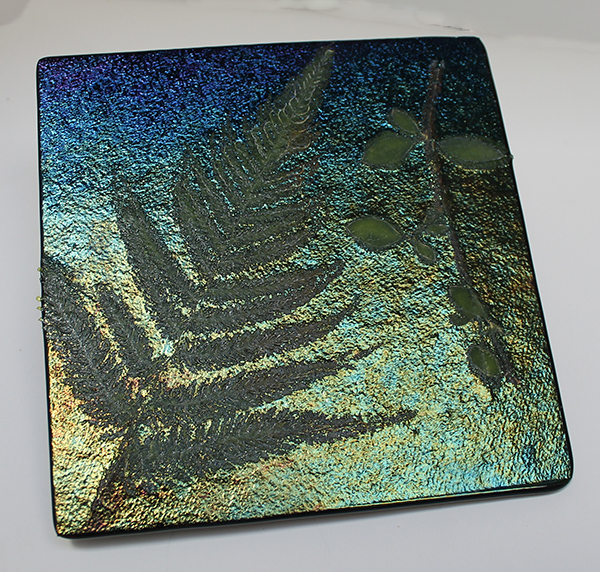 Learn to use powdered glass, called frit, for lovely leaf impressions on iridescent glass. Fuseable glass is handmade by a handful of companies to expand and contract at the same rate. It comes in many forms including powder, sheet and stringers (long and skinny). This specially formulated glass is hand cut, assembled in layers and then melded together in a kiln at 1480 degrees or so. 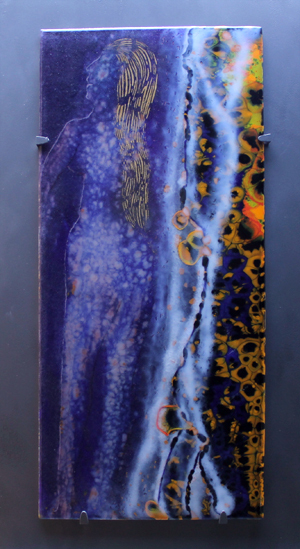 Paintings made from frit (powdered glass) may have many firings as images are built in layers. 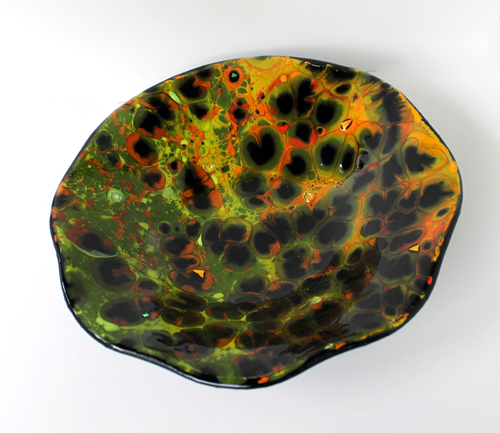 A second firing is done to shape (slump) the piece from flat glass into a bowl or other three dimensional piece. 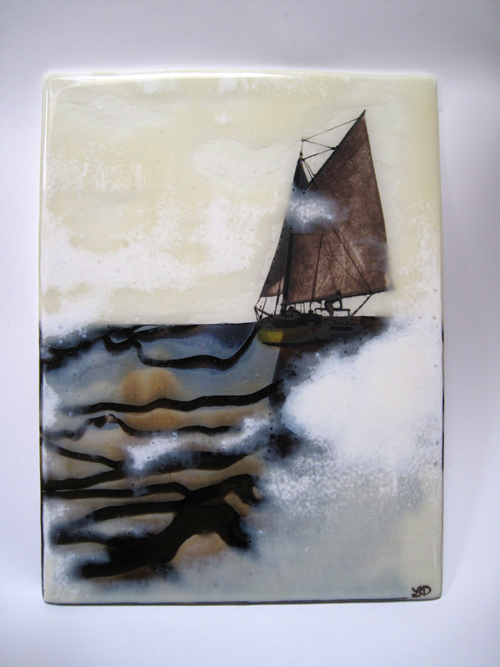 A third firing is done on pieces that are painted with glass paint. Dichroic glass is beautiful sparkly glass that was originally developed for the aeronautics industry. It must be manufactured in a vacuum chamber where an electron beam deposits many microscopic layers of metallic oxides, such as magnesium and titanium, on glass. 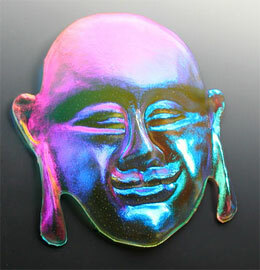 This metallic coating absorbs and reflects different colors of light at different angles, making the glass multi-hued. Because of the complexity involved in making it, dichroic glass is quite costly. It was originally created for satellite mirrors, but it now has many high-tech applications in fiber optics, infrared lasers, motion picture equipment and even sun glasses. 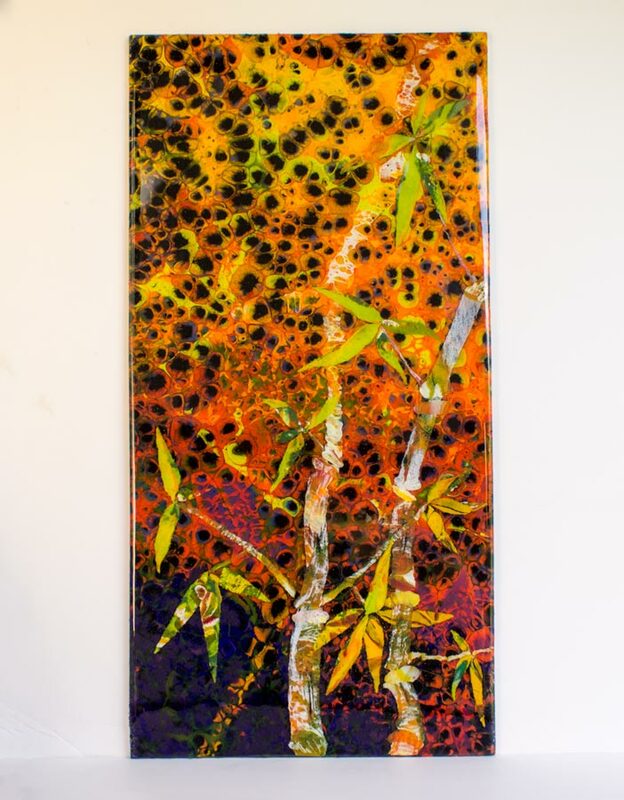 For more information on fusing and slumping, Warm Glass has free tutorials, an active bulletin board and an inspiring gallery. I also recommend Bullseye Glass Company’s online education program. Here’s a blog post with a link to a movie my wife and I made about raking glass. 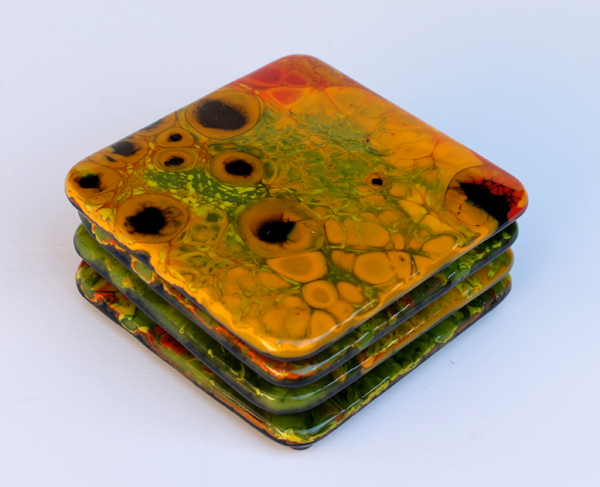 In this 3.5 hour class you’ll make two 4″ by 4″ coasters and one 6″ square piece using several different techniques. Projects will be fired after class and available for pick up in within a few days. We can also ship. 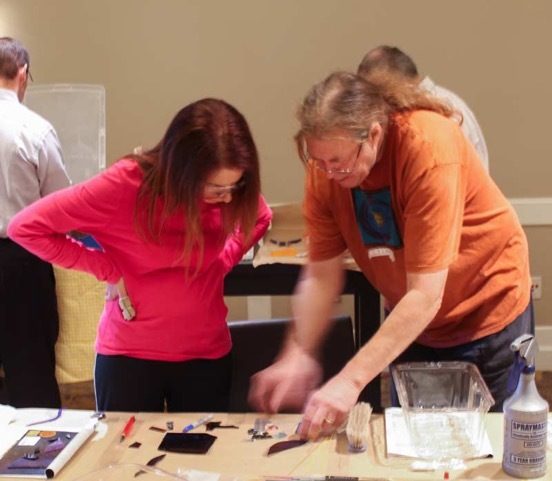 • The day begins with a brief safety talk and gets rolling with a lecture demo on the most important aspects of working with fused glass: color reactions, volume control & fun. • We’ll then cut and assemble pieces for the first coaster. No prior glass work experience is necessary, but those who do have experience can enjoy more complicated projects. 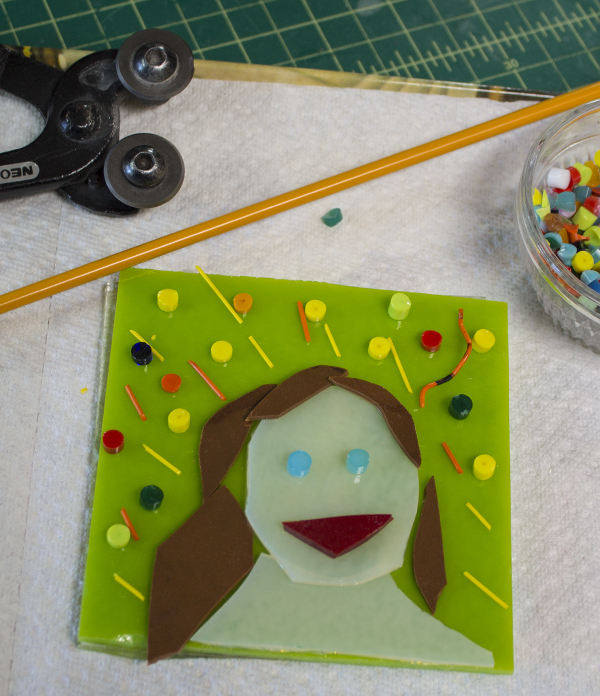 Ideas include abstract designs, self portraits (fun for kids!) and animal portraits. We’ll use sheet glass, powdered glass (AKA grit), stringers (long skinny sticks of glass) and glass rods of Bullseye brand fusable glass. • For the second coaster students can choose from our pre-made part sheets to create a silly fish or other design. Part sheets are patterned glass made from a combination of advanced techniques resulting in unique glass with various designs and textures. • The third project, a 6″ square, may be created using any of the above techniques. The class fee includes glass and firing costs. Class size is limited to two, so each person has plenty of space and attention. 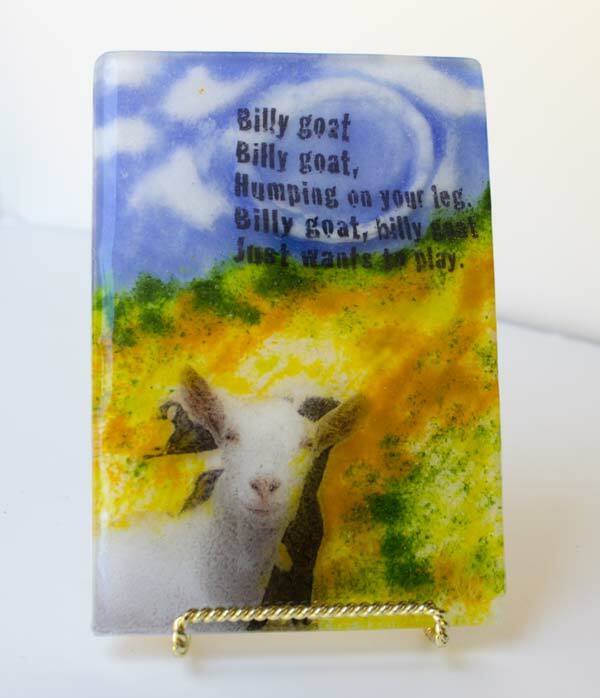 You asked for it, I’m offering private lessons in glass fusing at our studio in Sebastopol. Here’s how it works. 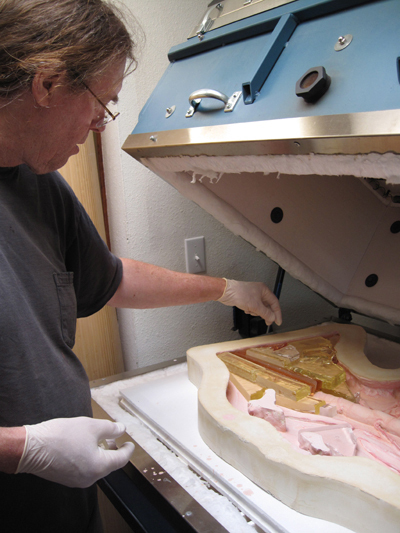 For an hour fee (two hour minimum) I’ll provide instruction and tools – cutters, grinder, tile saw, kilns, polishers, etc. You only need to bring your own eye protection (glasses or safety glasses) and wear appropriate clothing (including closed toe shoes). The fee includes some glass. Additional glass and materials are available for purchase. Buy just enough to complete your project. In addition to Bullseye brand’s vibrant color palette of 90 COE glass, my students can also use one of a kind components that I’ve made, incuding raked, painted and layered glass. Learn a new technique, make gifts, have fun! Adults, and children age 8 and up with parental supervision. One to two people at a time. Sound like fun? It is. Call or email for more information.